These images are from an 18 yo with elevated aminotransferases. 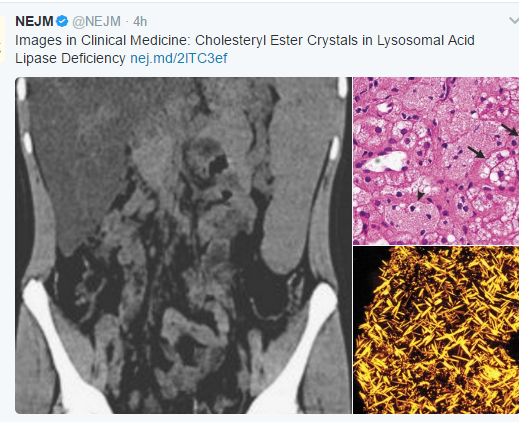 Her liver biopsy revealed birefringent cholesteryl ester crystals consistent with lysosomal acid lipase deficiency. A recent report (BK Burton et al. NEJM 2015; 373: 1010-20, editorial 1071-1) provides preliminary evidence of efficacy of Sebeliplase Alfa for lysosomal acid lipase deficiency. In this multicenter, randomized, double-blind, placebo-controlled study of 66 patients, enzyme replacement therapy with Sebelipase alfa was examined (1 mg intravenously every other week). After 20 weeks, all patients were treated by open-label. Of the 32 patients who had had liver biopsies, 10 (31%) were noted to have cirrhosis. 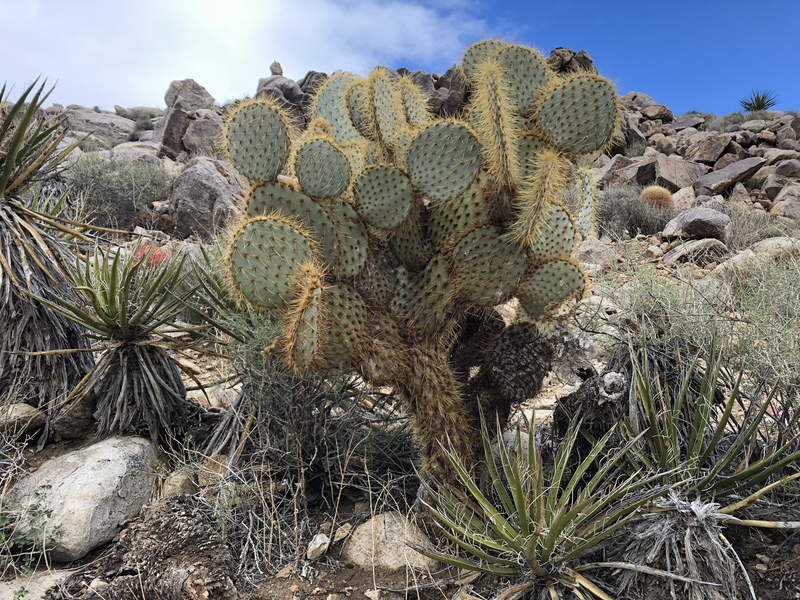 A recent article (Atherosclerosis 2014; 235: 21-30) reviews lysosomal acid lipase deficiency (LAL-D) and how this rare disease needs to be considered by pediatric hepatologists. LAL-D is a rare lysosomal storage disease which encompasses a rapidly progressive disease in infants (previously referred to as Wolman disease) as well as a later-onset condition called cholesteryl ester storage disease (CESD). Both of these diseases are caused by mutations in the LIPA gene and share the same pathophysiology related to deficiency of LAL. The disease prevalence estimates vary widely (1 in 40,000 to 1 in 300,000) and depend on ethnicity and location. Jewish, Iraqi, and Iranian infants appear to be at highest risk. Given the potential for treatment with recombinant sebelipase alfa (Synageva Biopharma) and the widely available testing, looking for LAL-D makes sense in selected patients; though, even in highly selected patients, finding cases may truly be like finding the so-called ‘needle in a haystack’ given the huge numbers of individuals with elevated ALTs who do not have LAL-D.